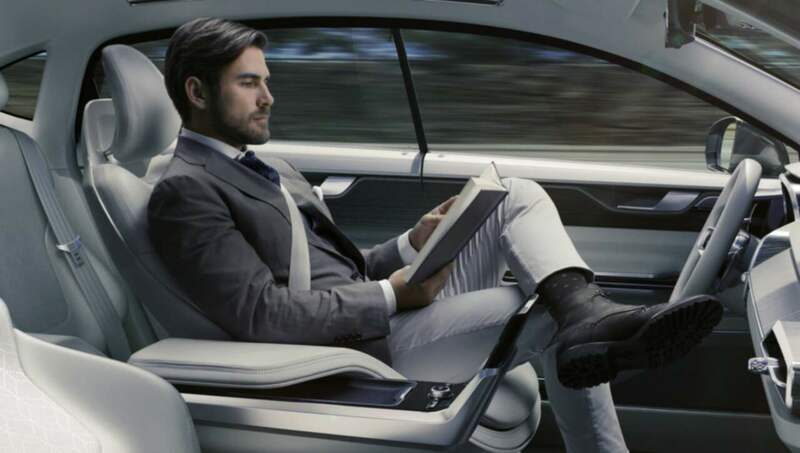 Home News Opinion Will the autonomous car revolution leave poor people behind? Depending on whom you ask, our driverless car future will happen in five or 10 or 20 years, but no one is certain exactly what that future is going to look like. It may have us all owning cars that pilot themselves; it may eliminate car ownership altogether and shift to an Uber-style on-demand model, or some combination of the two. The goals behind this are inherently noble: to end traffic deaths and crashes, all while solving congestion and easing air pollution. But I keep wondering if this safer, cleaner, traffic-free future is really for every driver—or just those who can afford it. 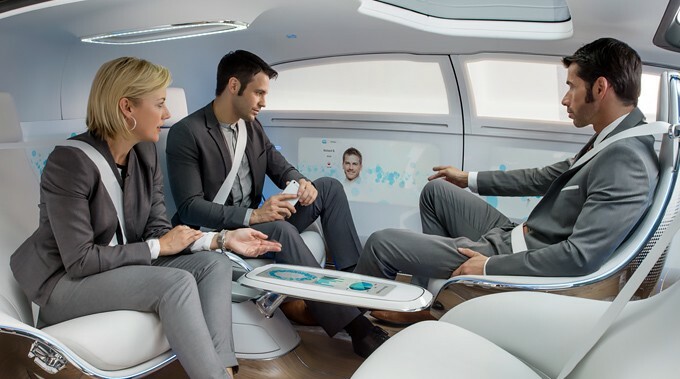 The images we’ve seen in these concepts of our autonomous, new-mobility future center on only one kind of person: the well-dressed businesspeople conducting a video meeting from inside the car. The guy in an expensive blazer and white pants reading a book as he’s being whisked off to whatever social media startup he runs. So many high-end turtlenecks. A woman who can afford Uber’s VTOL service staring down at the poors stuck in traffic. At best, it’s aspirational. At worst, it is a future only for the wealthy who can afford expensive new driverless car. For everyone else, well… no one has an answer for that. No one’s even brought it up. Those people will be stuck walking or taking the (presumably autonomous) bus. In past years we’ve seen the auto industry, Silicon Valley and their associated thinkfluencers shift our vision of the future away from human driving and personal car ownership toward “mobility” and autonomy. What’s been missing from those conversations is affordability. I’ve been thinking about this thanks to auto industry veteran Bob Lutz’s analysis in Automotive News, where he lays out what he believes will be the timeline for the end of personal car ownership. And Lutz’s predictions here are on the extreme side—he foresees “the end of the line for the automobile” itself as we know it within a few decades. It predicts the end of individual auto brands, design, performance, car dealers and even the automotive press. It is a world where fleets run by Uber and Luft and the U.S. Postal Service own all vehicles and people merely summon them on demand. The end state will be the fully autonomous module with no capability for the driver to exercise command. You will call for it, it will arrive at your location, you’ll get in, input your destination and go to the freeway. On the freeway, it will merge seamlessly into a stream of other modules traveling at 120, 150 mph. The speed doesn’t matter. You have a blending of rail-type with individual transportation. When that happens, Lutz predicts, “everyone will have five years to get their car off the road or sell it for scrap or trade it on a module.” Yes, everyone. All drivers at all income levels, apparently. It’s not hard to imagine what Lutz means when he talks about the “minority of individuals” who elect to have “personalized modules”; we’re talking about the very wealthy here. While I read this story, I had a very particular person in mind. Let’s call her Diana. Diana doesn’t live in a big city like New York or Chicago or Seattle. She lives in a smaller town that doesn’t have adequate public transit and will likely never invest in it. Diana’s what you may call a member of the working poor—she works two jobs to support two kids as a single mom and relies on government assistance to make ends meet. It’s not about getting ahead for Diana, it’s about staying alive. Diana doesn’t have a lot she can count on, but she has her car. It’s nothing fancy—it’s a 2003 Honda Civic. Diana’s about as far from a “car enthusiast” as you get, but she takes care of the Civic as best she can. It’s a blessing because it is paid off. She couldn’t afford a new car; a new car is a pipe dream, and a semi-autonomous Volvo or Cadillac isn’t even remotely on her radar. More than anything it’s dependable and lets her take the kids to school, to doctor’s visits, to the few after-school activities she can afford, and it gets her to work on time. Diana needs the car. She is dependent on it. For her, the car is life or death. There’s a lot more people out there like Diana than the techno-futurists in Silicon Valley and Europe (and, increasingly, the reemergent Detroit) probably think. The auto industry as a whole has less regard for the long-term and second and third-hand car owner than it ever has before. Luxury car sales are predicated on new leases every few years, and more inexpensive brands aren’t much better. And yet if Lutz’s vision of the future plays out, we are supposed to believe that one day, there will be some deadline where Diana and everyone else like her is expected to dump their car for an on-demand autonomous pod run by Lyft or Uber. If then we rely entirely on subscription or per-use fees for autonomous cars we don’t own, would that really be a cheaper experience for people like Diana? Or as dependable and readily available to meet her needs? Will that autonomous pod really be there whenever the kids get sick, when they need to be at school, when they need to be at the soccer game—and how much do the rides cost? Remember, at the moment Uber subsidizes the hell out if its rides. What you pay doesn’t come close to the actual cost of a ride. Even if you swap human drivers for software, it’s hard to imagine that changing soon. This model has never proven to be actually profitable. Further, how do we count on our tech overlords to even roll these services out in the small town where Diana lives? Mobility concepts seem to almost entirely ignore everyone who doesn’t live in a major urban area. Let’s assume for a second that personal vehicle ownership doesn’t end; that instead, people still own their cars, but a deadline approaches for all of those cars to be fully driverless. No steering wheel, no pedals. Would every car owner in America really be expected to trade in their car for an autonomous one? After all, they may have to. A good many experts believe that for fully autonomous cars to work—to establish those zero-traffic fatality goals—cars have to talk to each other. It’s hard to fathom where Diana’s old Civic fits into that. In recent years the car industry has been more than happy to leave lower income and working-class people behind, or probably more accurately, to saddle them with record levels of debt when they seek to buy a car. The typical worker’s incomes haven’t risen in any meaningful way since the early 1970s, but the cost of the average new car is around $34,000 and rising. In order to get into these safer, cleaner, more high-tech and increasingly autonomous cars, American consumers are digging themselves deeper and deeper into debt to where they now owe a record $1.1 trillion in auto loans. Freely available credit and cheap gas has allowed buyers go all-in on bigger, more expensive crossovers, trucks and SUVs, and the small, affordable car market is quickly drying up in America as loans rise. It’s hard to imagine any sort of market for affordable autonomous cars based on these trends. So maybe it’s accepted that lower income and working-class people should just buy more affordable used cars instead of new ones. But how does that work if we’re all given a mandate where we have to replace our cars with new autonomous ones within a few years? The answer there is even more unclear. Otherwise, I have to wonder how long it will take for the semi-autonomous and autonomous features on these Volvos, Cadillacs, Teslas and Mercedes-Benzes to “trickle down” to the cars most people can afford. The curve for that is usually about 20 to 25 years. Things like anti-lock brakes and traction control were luxury car items in the late 1980s. Now they’re standard equipment, often mandated as such by regulations. If trickling down is the goal, then autonomy will take much longer than the futurists believe to catch on. If we do force people to scrap their human-driven cars eventually, I suppose you’d have to underwrite or incentivize this purchase, either with tax breaks or a Cash for Clunkers-style program or outright giving people money to buy such cars. This is an even worse case for Diana; it’s something she can’t hope to afford without making a terrible financial decision for herself and her family. Regardless, the transition from human-driven cars to fully autonomous ones as we imagine it today would be an awkward and at times painful process, and it stands to leave a lot of people behind. This is not to say that cars, as they are now, are somehow a godsend to our personal finances. Besides the record loan debt I mentioned earlier, car payments, repairs, maintenance and insurance are a massive wealth-killer for many people. Diana probably spends a lot more on the car than she’d like to. But as of yet, none of these plans for the driverless future seem like they’d put more money in her pocket. Any plans we have for an autonomous and mobile future have to include people at the bottom and middle of the economic ladder too, and not just the turtleneck-wearing millionaire gods at the top of it. What the automakers and the tech companies need to figure out is how this driverless car revolution will affect everyone whose current existence is depending on a vehicle, at every income level. I haven’t seen anyone do that yet, and given how all these companies have catered their products and brands and marketing to the very wealthy, I don’t have great confidence they will.